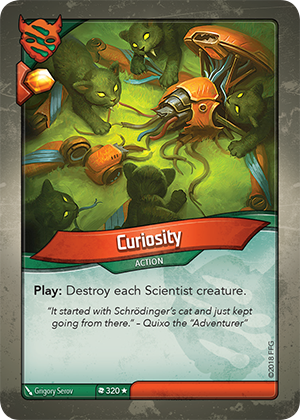 Card Text Play: Destroy each Scientist creature. Does this effect include my own Scientist creatures? Yes. This affects “each” – meaning “every” – creature in play.